The DRAWin festival aims to promote public awareness of Drawing Performance and give the opportunity to explore and engage with this emerging way of expression. Tuesday & Wednesday, 3-4 April 2018, 10am-5pm. Fabrica – Brighton’s Center for Contemporary Art. 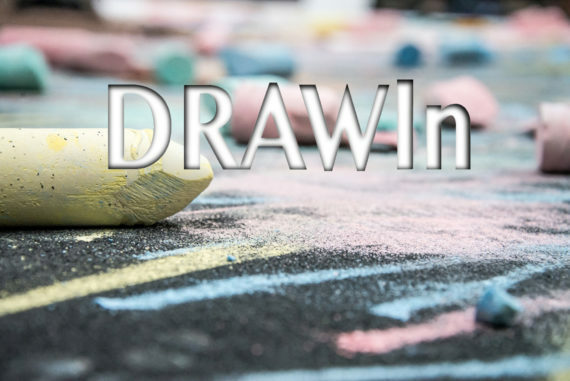 The DRAWin festival aims to promote public awareness of Drawing Performance and give the opportunity to explore and engage with this emerging way of expression. It also intends to mark the UK as a leading hub for this innovative art practice and help in building a new generation of young drawing performers. Participating Artists: Jenny Arran (UK), Isabel The Phantomat (UK), Roberta Maddalena Bireau (Italy), Molly Macleod (UK), Dejan Mrdja (Serbia/UK), Lisa Munnelly & Oli Blairs (New Zealand), Sidney Pink (US), Liliana Robins (UK), Florent Schwartz (France), Ram Samocha (Israel/UK) & Mark Browne (UK), Flexer & Sandiland (UK). “After the great success of our last year’s event at Fabrica, we’re so exciting to continue the tradition for artistic freedom that the city is famous for. This unique, must-see performance promises to be high energy, combining drawing, theatre, dance, and music into a vibrant and dynamic event for all the family.” Ram Samocha, DTP founder. Draw to Perform is an international community for drawing performance curated by artist Ram Samocha. Draw to Perform has held previous international symposiums, festivals, collaborative UK events and educational workshops. Past Draw to Perform symposiums have been held in London and Brighton. Following the success of these events, recognition of Draw to Perform and its events has grown steadily and the community has showcased performance symposiums and workshops at Central Saint Martins (2013), Goldsmiths University (2015), and OCAD University, Toronto (2016). Day 1: Day Pass for all performances – Adult £15 (£20 on the door), Child (5-15) £5, Family: 1 Adults+up to 2 Children £20 (£25 on the door), Family: 2 Adults+up to 3 Children £32 (£40 on the door). Day 2: Tickets per workshop – Adult £10, Child (5-15) £5, Family (2 Adults+up to 2 Children) £25. Draw to Perform, Fabrica Gallery, South East Dance, Cass Art.